#28 The Bridge - St Lucia Accommodation. The Bridge is a magnificent apartment complex with swimming pool, squash court, braai area and direct access onto a private jetty on the estuary. The complex is safe with security boom and guard. Within one km walking distance of shops and restaurants. The apartment is a newly renovated, fully equipped self catering apartment. Two bedrooms, one with a double bed and the other with two single beds. The bathroom has a shower and bath. Fully fitted kitchen. Linen and towels are supplied. DSTV, with hotel channels an air-con in the lounge and fans in the bedrooms. Covered secure parking right by the back door. The patio overlooks the lush garden and swimming pool. 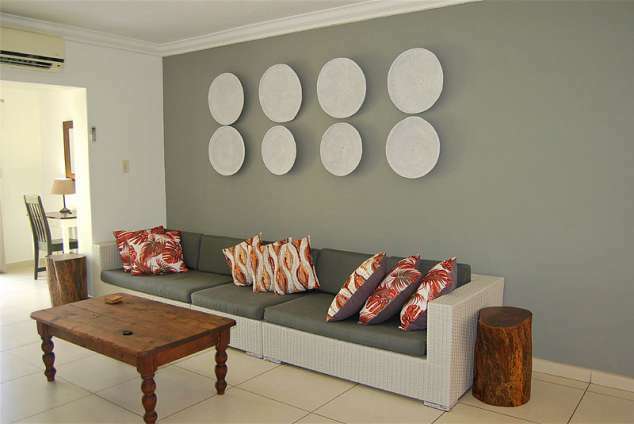 You have access to the entire apartment, swimming pool, squash court, braai area, jetty and laundromat. Wifi access in the office. Concierge lives on the premises. St Lucia is within a nature reserve. The iSimangaliso Wetland Park. It is a small, quaint town with many restaurants and shops. Beach, boat cruises, deep sea fishing and game drives are some of the many things to do in St Lucia. Cycling and walking is a great way to get around. 2310 page views since 19 Apr, 2017. Last updated on 12 Apr, 2019.